This is probably one of the weirdest (worst?) movie anthology I have ever since. It is probably meant to be crude, so try not to be too offended by some of the stories in there. It is also best to take with a pinch of salt and laugh at everything. One of the reasons I wanted to watch it was Emma Stone but I wasn’t really taken by her story with Kieran Culkin as her ex-boyfriend. The opening story with Hugh Jackman and Kate Winslet drew the most laughs along with the one starring real-life husband and wife, Chris Pratt and Anna Faris. There are some really random advertisements in between the segments and I think the Tampax commercial is the funniest. 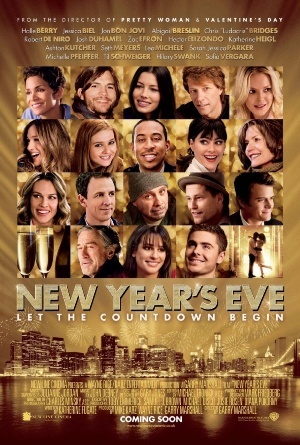 Watch it if you’re really bored and want to watch A-list stars do and say silly (explicit) stuff. Sam Witwicky (Shia LaBeouf) is back with a new girlfriend, Carly (VS model Rosie Huntington-Whitley) and more Transformers action. 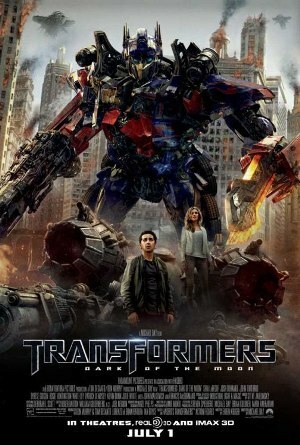 When discoveries from the 1969 expedition to the Moon bring about new hopes of rebuilding Cybertron, Earth is in danger! I think I prefer Megan Fox as Shia’s love interest, she seems more relateable and believable… Rosie is hot, yes, but I don’t think she was very convincing when she confronted Megatron. Plus, she didn’t look very comfortable with the robots. I thought there was a brief bromance moment when Megatron helped Optimus Prime in the big fight but I could still be in the cloud of X-Men: First Class. Bumblebee is still as adorable, and I really liked that scene where he transformed while Sam was still in the car – LaBeouf’s express was hilarious! Plus, Patrick Dempsey is a bad guy! WHY??? But he was quite good at playing bad actually and he seemed to enjoy it. Plus, him fighting LaBeouf is good fun! 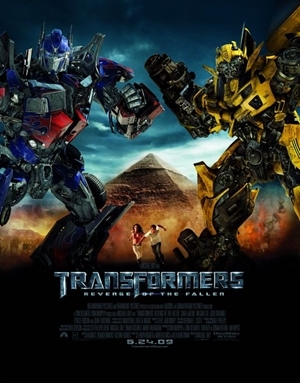 I saw Transformers: Revenge of the Fallen! It’s great! The movie starts with lots of action, with the remaining Autobots working with the military as part of a top secret section – Nest Ops. Together, they hunt down the remaining Decepticons still hiding on Earth. It’s been two years since the first movie – where the Autobots and Sam defeated the Decepticons – and Sam is ready for college. Dealing with the usual teenage anxieties in college, he starts having visions of strange symbols which he later discovers leads to an alternate energy source brought to Earth by a species of Autobots, the Primes, millions of years ago. The Decepticons, led by their leader-in-hiding, the Fallen, tries to get hold of Sam to find the location of the energy source, in a bid to rebuild the Decepticon race. Alice or that hot girl who tried to seduce Sam in college is super scary! There’s definitely more than meets the eye with that kinda girl. I liked how they resurrected this ancient Decepticon, a BlackBird jet aka Jetfire, with all the rusty parts and they even teleported! Though they were initially fearful of Jetfire, they later found out he switched sides to be an Autobot. It’s all about choice! The ending that included the sacrifice of Jetfire was really touching. Never thought you could tear up in a movie full of robots, right? Oh, the mini Decepticon probe that Mikaela caught is super cute too! Upon hearing that robots can switch sides, he tugged on her leg, like some little puppy! The twin Autobots (ice cream truck) were good too; loved the surprise they did after one of them got sucked in the destructive Decepticons. 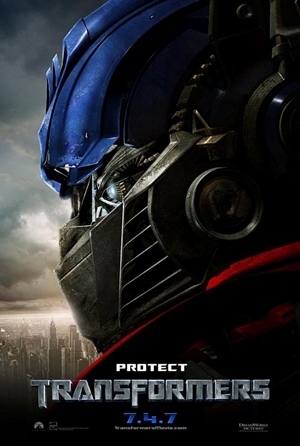 Plus, I’ve only just realized that Optimus Prime is a type of Autobot, I thought Prime was just a name – now I know it’s a species. Strange how it’s always the Decepticons doing the cool stuff, like morphing together to form a LARGE machine, or just morphing from hundreds tiny steel balls to form an even larger Decepticon. Amazing. I watched Transformers! I’ve been waiting for this day since I saw their fantastic trailer months ago. The movie was totally kickass, okay?! The effects are mindblowing and the machines are so cool! I love it when Bumblebee helps Sam to woo Mikaela through songs and when he assimilated into this slick car when Mikaela commented that he was transforming into ‘a piece of junk’. The Autobots were damn funny when they were trying to hide from Sam’s parents at his house, imagine big mighty Autobots hiding under a small house? The battle scenes were great too! Especially when there was this Scorpion (Decepticon) attacking them. It’s like seeing what they can do in their full glory – which is attacking. And I’m kinda surprised to see Prison Break’s Sucre in it! He’s still speaking Spanish so I don’t really understand what he’s talking about. Sam, played by Shia LeBeouf, is totally panicky and geeky. His cover was blown when one of the Autobots detected his don’t-know-what level and concluded that “he wants to mate with the female”. Oh well. The movie’s so good, you’ve got to watch it. It’s so worth my $9!